I wasn’t sure about this feathered/fuzzy coat texture trend. I mean, it’s just non-reflective glitter, right? What’s even the point of that? I want my glitter to be so shiny it’s blinding. Go big or go home, right? I placed a Sephora order a few weeks ago and needed one thing to push me into enough points for the 500 point reward (don’t ask, my logic module doesn’t work when I’m shopping). 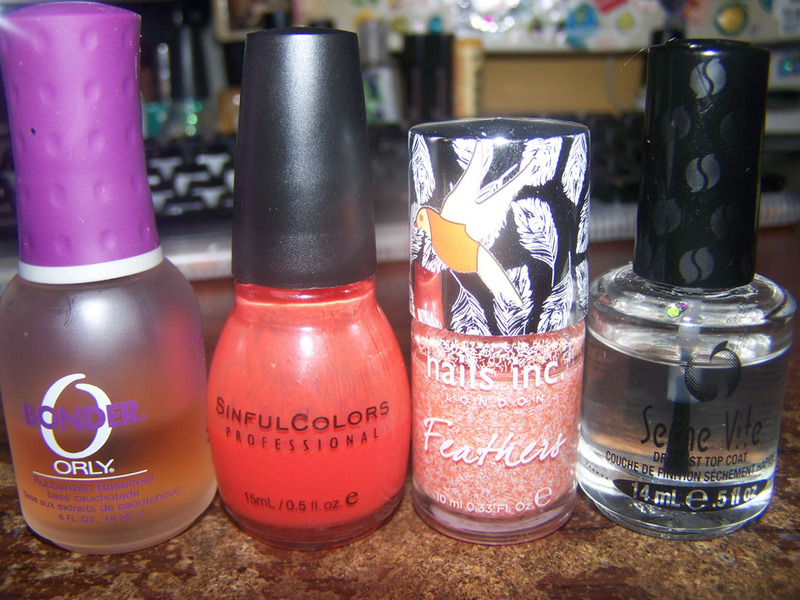 I saw the Nails Inc. Feathers and grabbed a couple bottles, just to try it out. Meanwhile, I had this orange I didn’t really know what to do with. It confuses me. It’s too opaque to be a jelly but too sheer to be a creme. 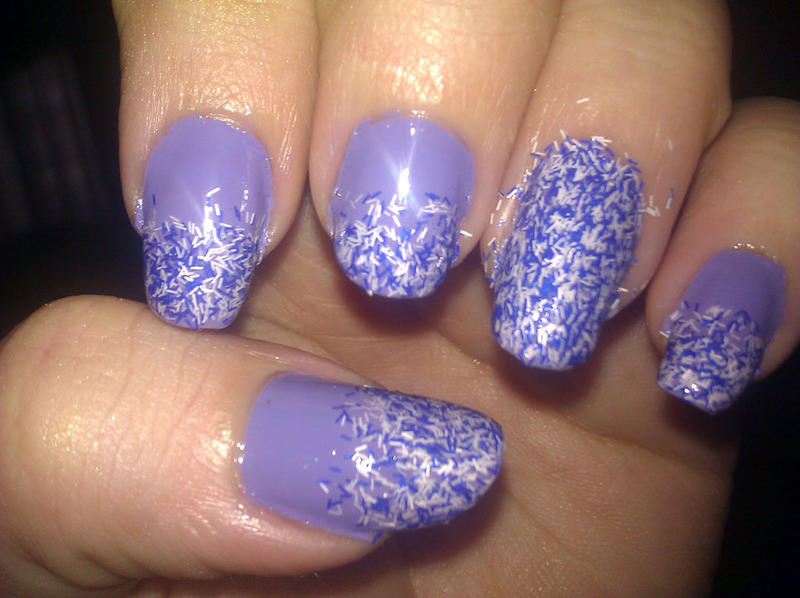 Glitter disappears in it, but I can still see my nail line. When I finally got the Feathers in the mail, I put them together. This one looked better in my head, I think. I envisioned something like a glitter gradient, but the small fibers didn’t play well with that idea, and just formed colonies on the tips. I like it enough to keep it on, but I’ve gotten some interesting comments. One person described them as “strangely horrifying”, while another said they looked like bone shards stuck to bloody claws. Now I can’t unsee it. 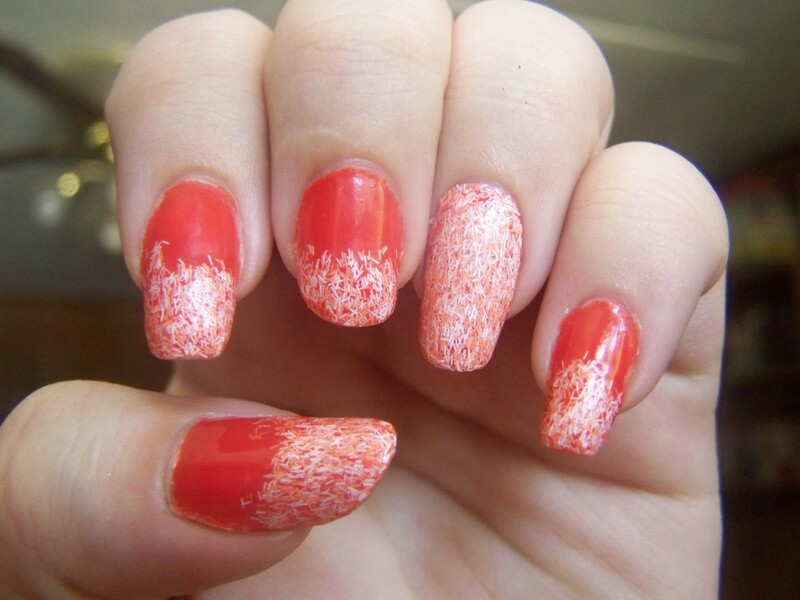 For funsies, here’s a test manicure I did with different colors.